Entry filed under: Flight service to Rourkela, Infrastructure, Jharsuguda, Jharsuguda Airport, Nuapada, Region watch, Rourkela steel plant airstrip, Sundergarh. 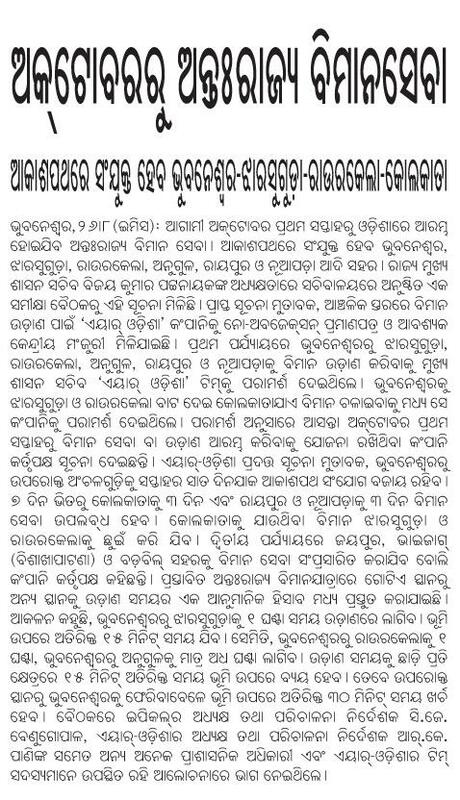 this is really a gr8 news for all the people those who want to have this service in Rourkela from BBSR or from Kolkata. if this works really this will be gr8 achievement for the rourkelaites. gr8…hope to be gr8 success…rourkelites please support by choosing this service.